It is a swelling caused by excess fluid that gets trapped in the body’s tissues and may affect any part of the body including your hands, arms, feet, ankles or legs. When tiny blood vessels in the body, known as capillaries begin to leak fluid, the tissues in the surrounding areas become swollen. Medications, such as high blood pressure medications, anti-inflammatory drugs, steroid drugs, oestrogens, etc. Your risk of edema could increase if you are pregnant as your body retains more sodium and water than the usual. 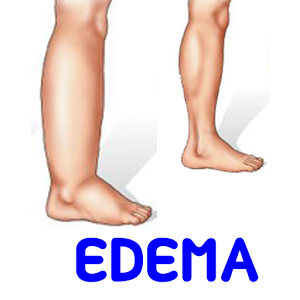 Certain chronic illnesses such as a congestive heart failure, liver disease, kidney diseases, surgery of some kind, could all be risk factors behind an edema. A physical exam, X-ray, ultrasound, magnetic resonance imaging, blood test or urine analysis are some of the tests that can be conducted by a doctor to determine edema. A more severe form of edema can be treated with the help of drugs and medications, based on the patient’s personal medical history.